Size: 3.0 to 2.5 mm. 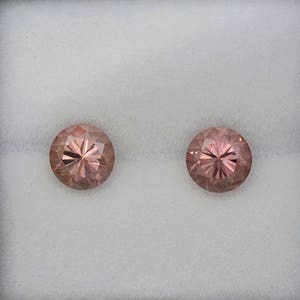 Here is a classic and hard to find gemstone. 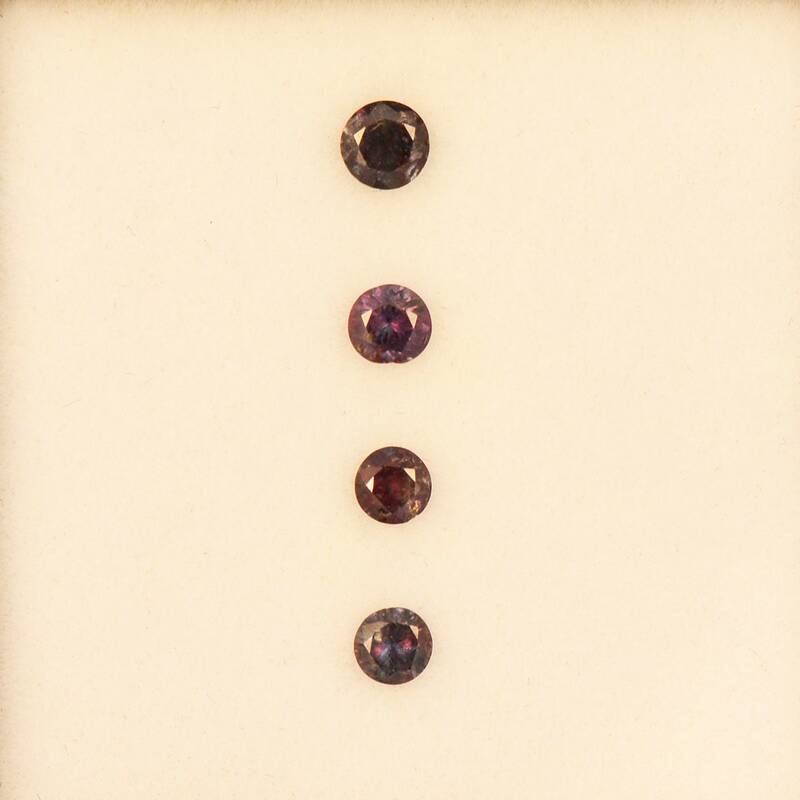 Alexandrite is part of the Chrysoberyl family, and is one of the most highly prized gemstones on the planet. These stones do a 90% color change, going from a beautiful purple/pink color in incandescent light to a light blue/purple in fluorescent lights to a rich forest green in daylight that is lovely. The stones also fluoresces a brilliant red color! Alexandrite has been extremely popular since it came onto the market. 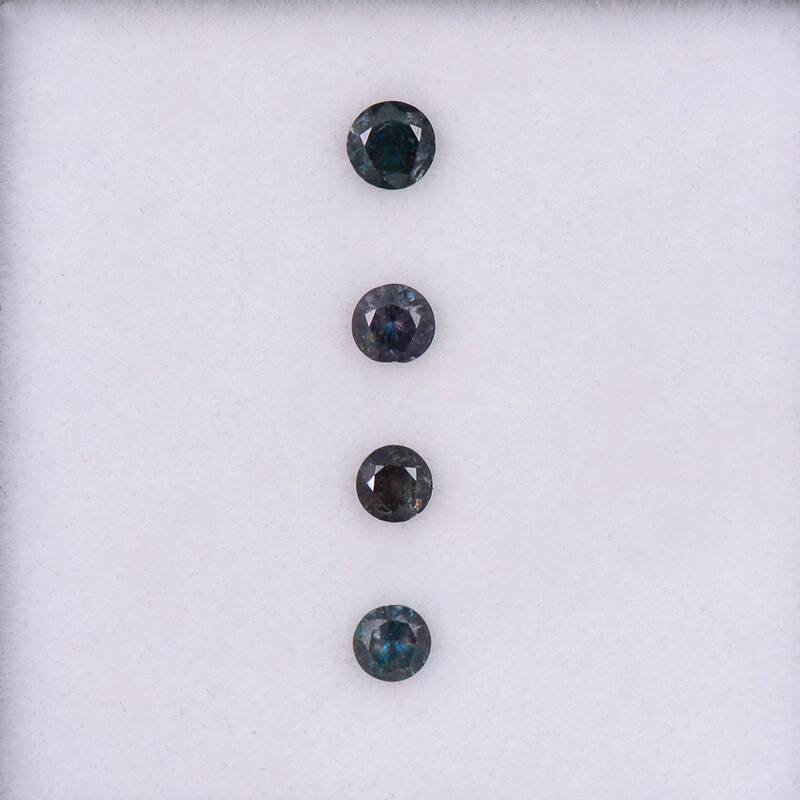 The supply of good Alexandrite from every locality is extremely limited and is one of the major reasons the stone is so sought after. These stones are from a small find recently in Zimbabwe and we were so glad to get them. For all of the June babies out there, here is the rare and elusive Alexandrite for you. Enjoy! Whoa these stones are magical!! I tried to take pictures in different lights to show the colour changes :) The shipping was super fast and packed very securely. Thanks!! 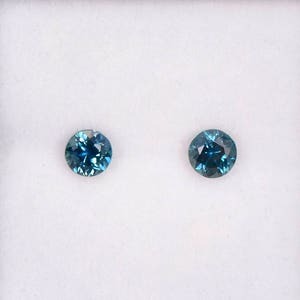 Stunning Blue Green Sapphire Match Gemstone Pair for Earrings, 4 mm, Rounds, 0.82 tcw. 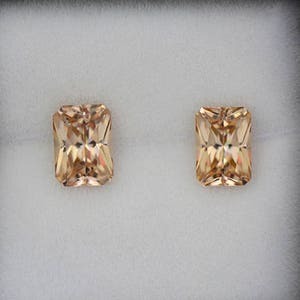 Exquisite Champagne Orange Zircon Gemstone Match Pair from Tanzania 6.26 tcw. 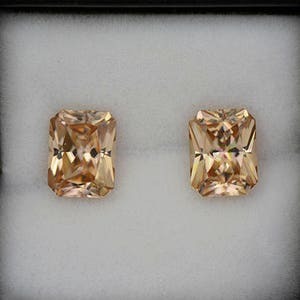 Stunning Champagne Orange Zircon Gemstone Match Pair from Tanzania 3.68 tcw.